Crunch time is approaching in terms of which Districts we select for the ColaLife trial. The ‘tension’ between the desire to go for what academics call a ‘randomised cluster trial’ – the gold standard in trial design – and the practicality you encounter on the ground; the way free markets work and the impact of the personality and approach of different distributors and wholesalers, is being brought into sharp focus. This is nothing new we’ve been discussing this for weeks and have just had another 2-hour Skype call about it tonight. Visiting places and talking to wholesalers really helps. Jane and I went to Choma and Kalomo yesterday (Sunday) which really brought things alive in terms of how the trial might work. Kalomo is a classic market town serving a huge rural hinterland. You can see from the geotagged photos on the above map that every other ‘shop’ is some sort of wholesaler, there to serve retailers coming in to buy supplies. 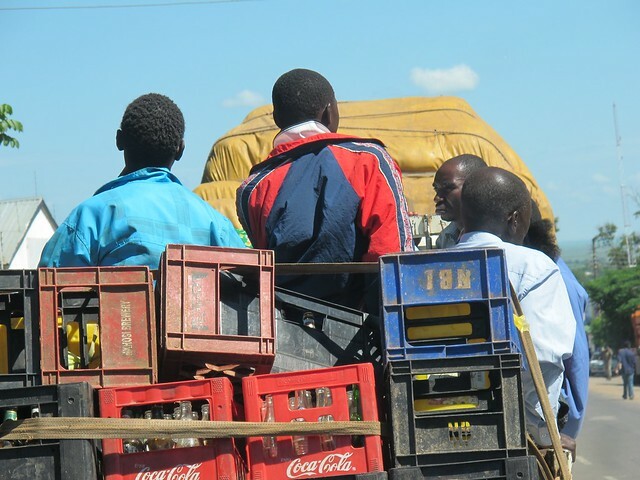 Today we met another wholesaler in Lusaka who operates in Eastern Province and we’re planning a trip to Petauke on Wednesday to talk to the person who runs a Coca-Cola wholesaler there. We need to decide on Districts by the end of play on Wednesday so that we can get sign-off of the Terms of Reference for the Monitoring and Evaluation work and go to tender for the supplier of these services to the project. But before the trip on Wednesday we have our first implementation partners meeting tomorrow (= exciting). A key part of this meeting will be the training partners in the use of our Huddle system which will be the key tool for collaboration, communication and information sharing for the project.